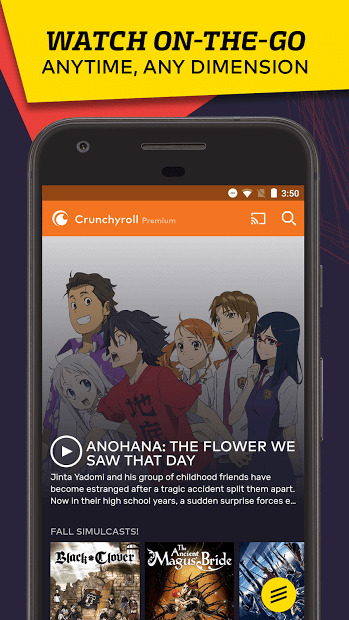 Watch Anime, Game Videos and more, just from one app! 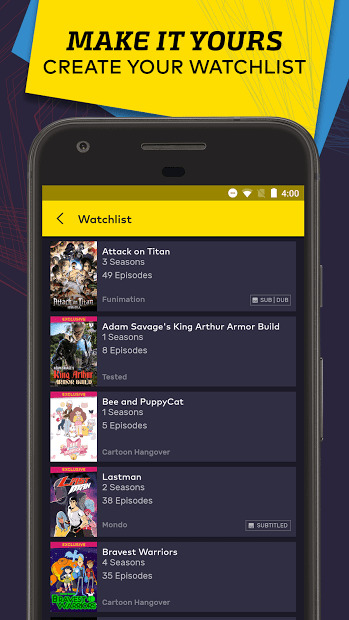 VRV is a video app for anime, animation, gaming, comedy, sci-fi, fantasy, horror, and tech fans. 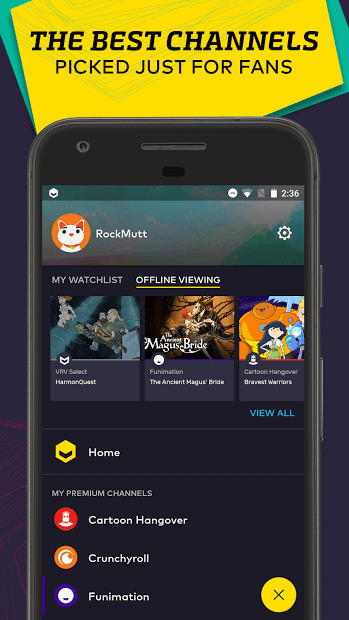 All of the channels you like in one place, including exclusive shows: HarmonQuest, Bravest Warriors, and Bee and Puppycat. Crunchyroll, Funimation, Rooster Teeth, Cartoon Hangover, Geek & Sundry, MONDO and more are awaiting! Watch episodes for free with ads or Go Premium for complete access, exclusive series, offline viewing, and an ad-free experience.